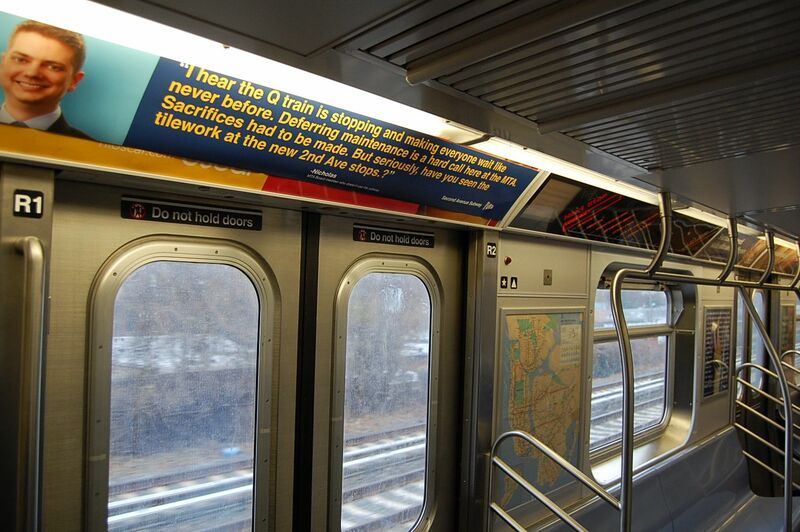 Parody Ad Campaign Appears in Subway Cars…Again! New Yorkers all know how proud the MTA is of the beautiful stations built for the extension of the 2nd Avenue Subway. The MTA told us so. Governor Cuomo was photographed at the opening of the beautiful new stations. The price tag was high. You can see where the money went. The stations are magnificent. But the idea of spending $4.5 billion on three beautiful stations—when the MTA acknowledges that the switching system, responsible for most delays, has not been updated in 40 years—left a bad taste for many. 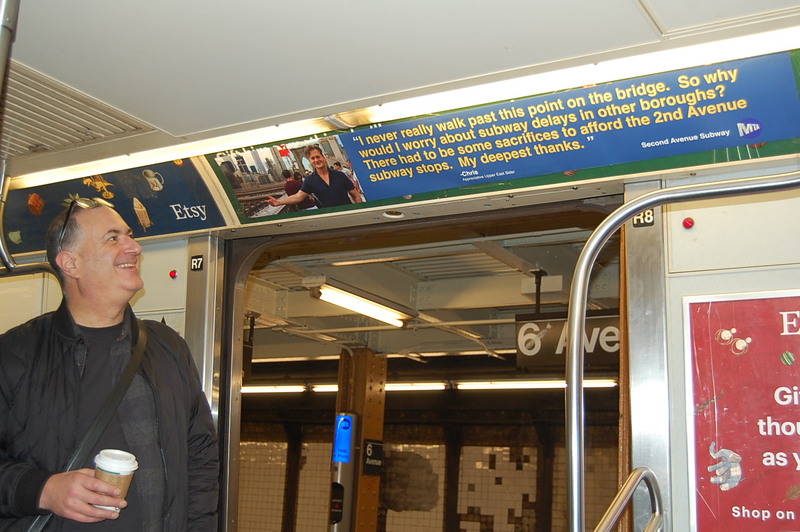 Then the MTA did something that those with concerns about the cost found insulting. They spent additional money on an advertising campaign designed to tell the public how great the new extension was (example below). The campaign profiled “random” citizens who live and work near the new extension, explaining how the extension had made their lives better. But someone must have felt the campaign was reaching a bit. 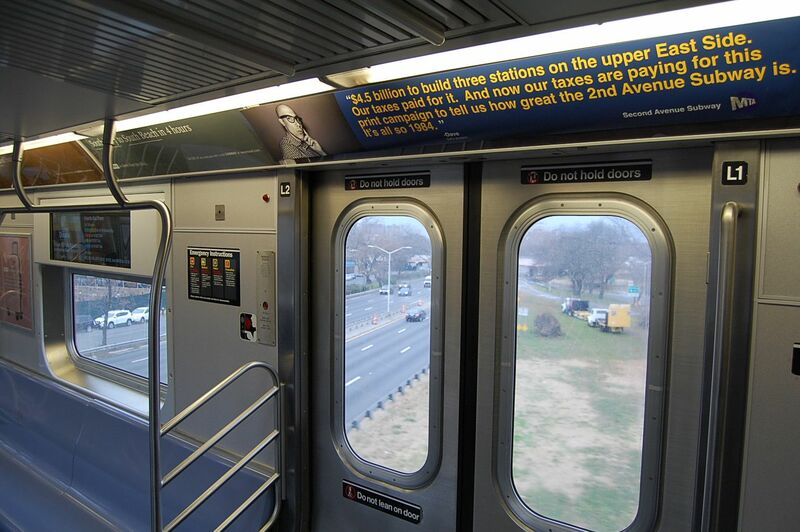 Last summer an alternate campaign started making appearances on the subway. It looked a lot like the original, but had a different approach. These were parody ads for the 2nd Avenue Subway which highlight less attractive factors of the extension. They draw attention to the expense of the upper Manhattan stations and the lack of service provided elsewhere. 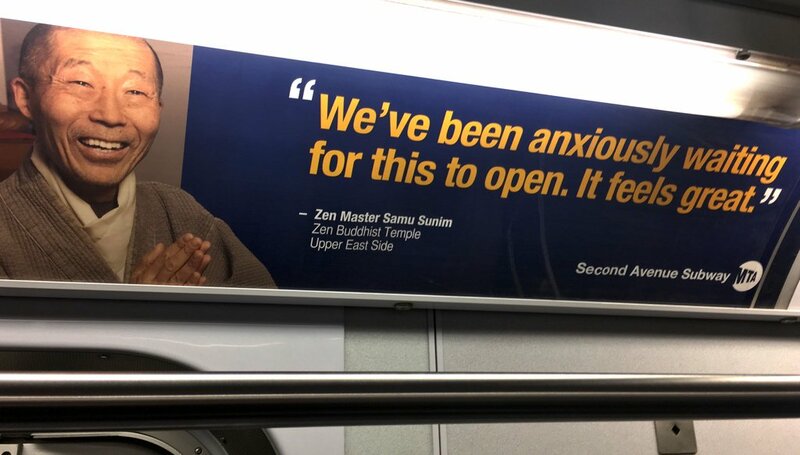 This week updated parodies re-appeared in some cars referencing the possible rise in subway fares, the congestion pricing that was “needed” to avoid a fare jump, and the great tile work at the 2nd Avenue extension stations. 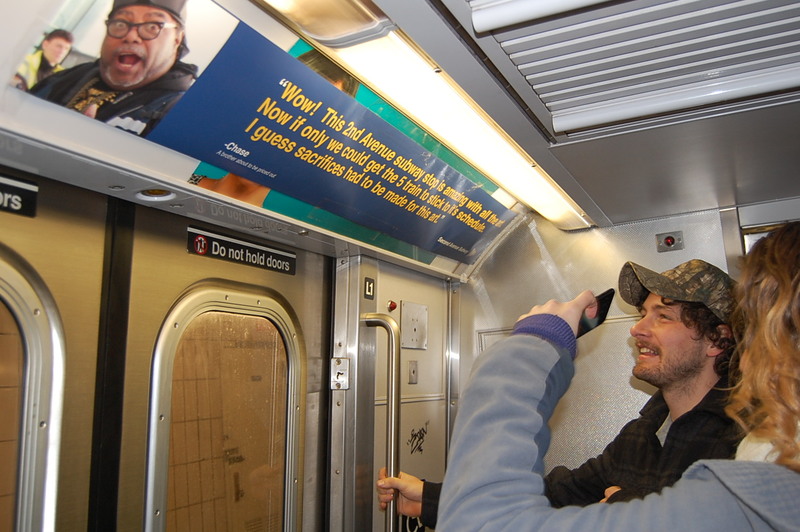 The ads have shown up on the 7, L, 4/5 and B/Q trains. We spoke to a couple of public servants along the latter subway lines in Brooklyn about their takes on the fakes. “There are delays, breakdowns, and cancellations. People have even lost their lives to the faulty and outdated architecture of the MTA subway system. However, the funds allocated to MTA upgrades go to exclusive and selective expansion projects like the one for the 2nd Avenue Station in Manhattan – the inner borough. It’s time for change and to hold the MTA accountable for work and upgrades owed to all New Yorkers from all corners of the city,” Bichotte added. The parody ads are good knockoffs. Some people don’t even take notice of them. A close look reveals that they are taped onto the subway car panel rather than inserted into the advertising sleeves. Commuters who take notice of the signs seem to enjoy them, some taking pictures. How many are there? We will probably never know unless the creators step up. For now, they are anonymous. Nice to see the spirit of parody is still alive in NYC. These are far more effective than people just swearing every time an overcrowded subway lurches to a halt because of a broken train/switch.